I was so happy when Debbie contacted me to book a tree farm photography session. This is one of my favorite families. My kids have gone to school with her kids since day 1, and they are both so nice. Kelly is now a Junior in High School with my son Andrew, and James is in the middle with my son Jake. Their little cousin Jackson also had a session booked, so we did them back to back so they could have some nice cousin photos (isn’t he adorable?!?). 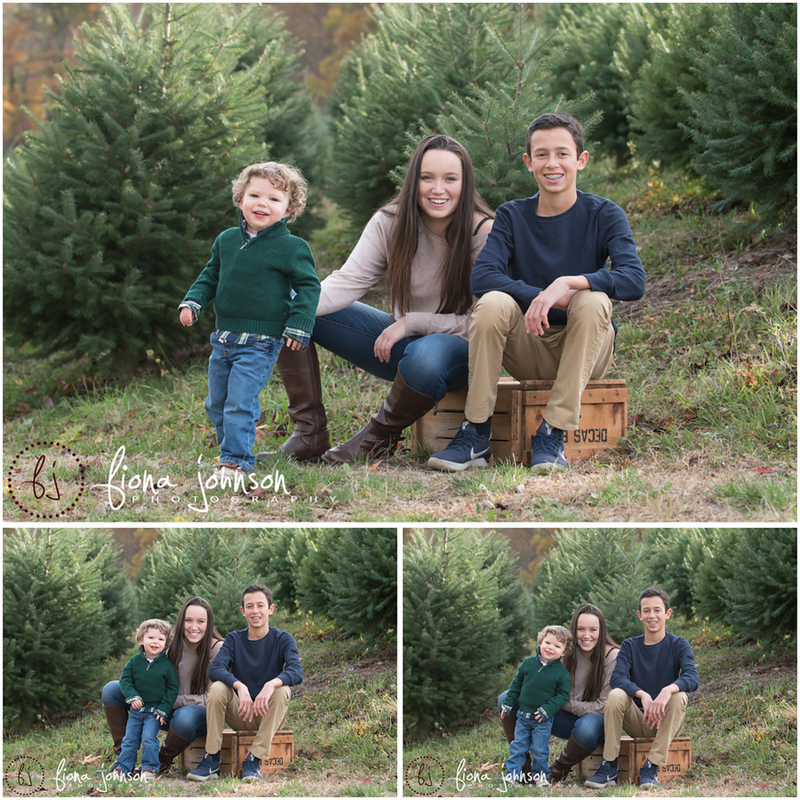 We did their session at Broken Arrow Tree Farm in Hamden – my favorite tree farm around. 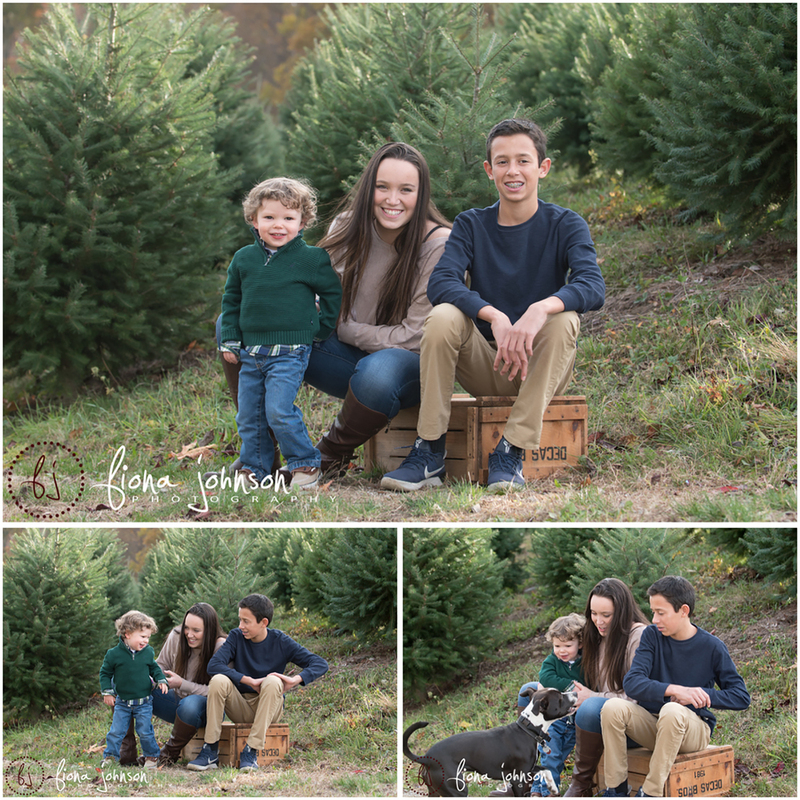 Fiona Johnson Photography is a children’s photographer in CT. All photography sessions are custom planned just for you. Fiona Johnson Photography will work with you before, during and after your session and provide the utmost care in getting you photographs you will cherish for your lifetime and beyond. A Signature Portrait session allows the time and space for your child to get comfortable so Fiona can capture your child’s true spirit. Fiona Johnson Photography specializes in newborn photography, baby photography, cake smash photography, children’s portraits and family portraits. If you would like to book your session with Fiona Johnson Photography, please contact her at info@fionajohnsonphotography.com. Newborn sessions are best done before the baby is 2 weeks old for the sweet, sleepy poses. Fiona Johnson Photography does in-home newborn and portrait photo sessions, so you can keep the baby in the comfort of your own home. She will bring a complete portable studio to get you the best photographs of your adorable baby. Fiona is experienced and educated in newborn photography, and has been in business since 2006. Safe handling of your newborn is a top priority during your newborn photo session, so rest assured that your little one will be in good hands. The newborn phase is so fleeting and you will never regret having an experienced ct newborn photographer capture the details. Cake smash photo sessions are also done in the comfort of your home. With a complete portable studio setup, your birthday boy or girl will not be intimidated by new surroundings and can find comfort all around. 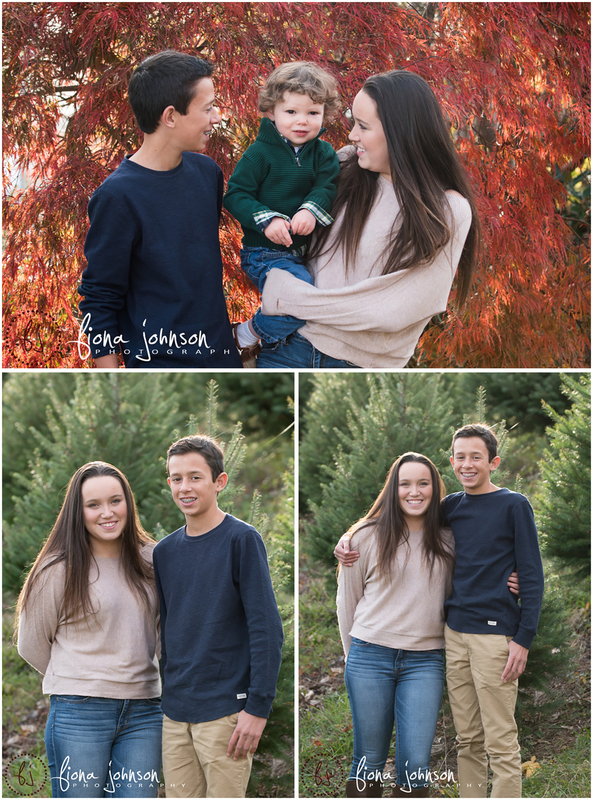 CT photographer Fiona Johnson loves creating memories that you will cherish for a lifetime. Your child only turns 1 once, so be sure to book your session today. - rave reviews -WHY CHOOSE FIONA? Fiona Johnson Photography | CT newborn, maternity, children's and family photogrpaher serving all of Connecticut|ProPhoto Photography Website | Designed by That's Kinda Cool!